While scrolling through the FP today (geez it was hostile, not a joke), I noticed some confusion about the LC and its purpose in life. So here’s a basic guide to understanding the LC. The FP today has taken on the mentality of a typical Jalop, which is to suggest cars you could buy for the same price as another car. While I get that $100k presents many options, here are the main targets the LC is going for. Yes, most might think the LC500 may fight the M6. However, based on competitive specs and the fact that the LC was caught testing with the 650i, it makes more sense. You could get a well-specced 650i for the base price of an LC. The Carrera S is closely matched to the LC on price. They may not look like rivals, but both are fast GTs; it’s just that one is more on the sporty end of the spectrum and one is more luxurious. I see the S550 coupe as a major rival to the LC, as both are coupes based on flagship sedans. Both are intended to give passengers the most luxurious experience possible. And both are comparable in price as well. #2. Why does the LC cost so much? It’s a question I’m asking myself too. But when you break it down, it all makes sense. As shown from the image above, the LC makes use of carbon fiber in some major locations, such as the doors and roof. CF isn’t quite affordable yet in the same way that steel is. Also, Lexus tried to go for the most luxurious experience possible. That means no cheap materials. As such, use of leather and suede is quite high. Thus, the car costs more. Looks are all subjective. But no matter what you think about the LC, at least give credit to Lexus. Because they made a production car that looks virtually identical to the concept, save for a few elements. 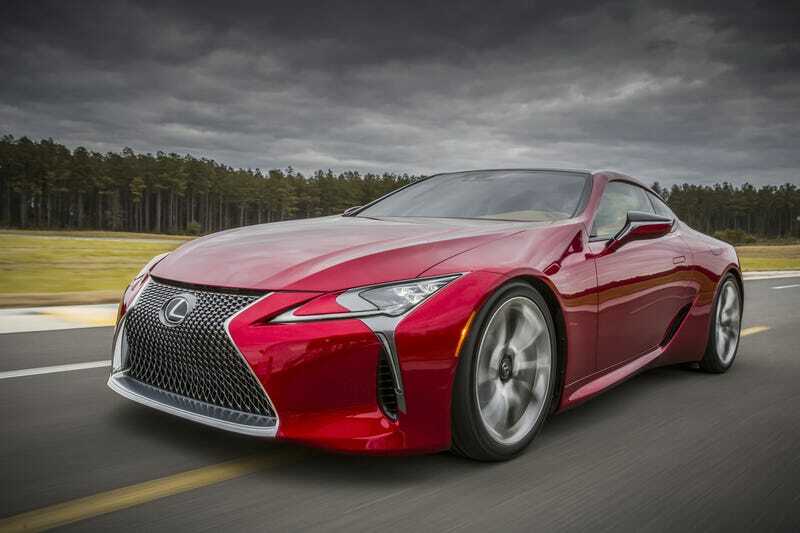 Even if you hate to admit it, Lexus has made a car that captures your attention for sure. Whether you like it is a different story. That’s my short analysis of this new Lexus, and I hope you found it useful. Have any other questions? Reply with them down below and I’ll try to answer them.